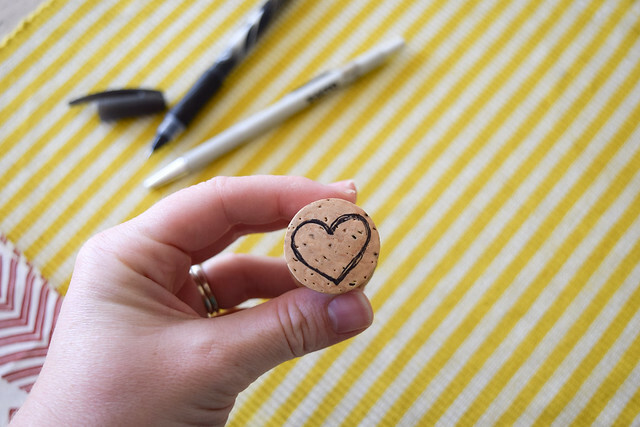 I made this happy little cork stamp a bit before Valentine's Day, and the idea was to post about it then, but alas! Life happens. 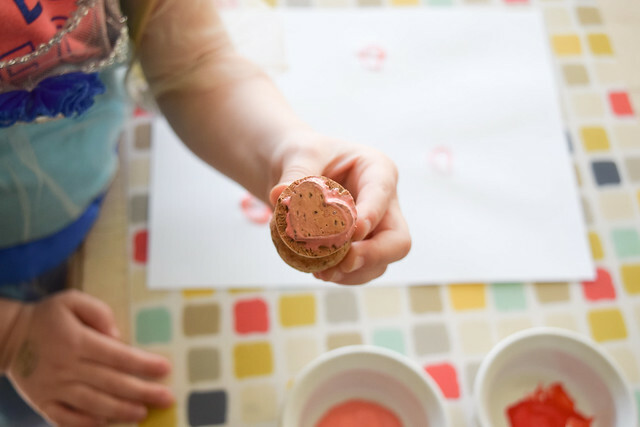 I thought it would still be fun to share this project, because there are so many things you could actually use this for, and obviously you can create any design your fine-motor and/or x-acto-knife-wielding skills allow. 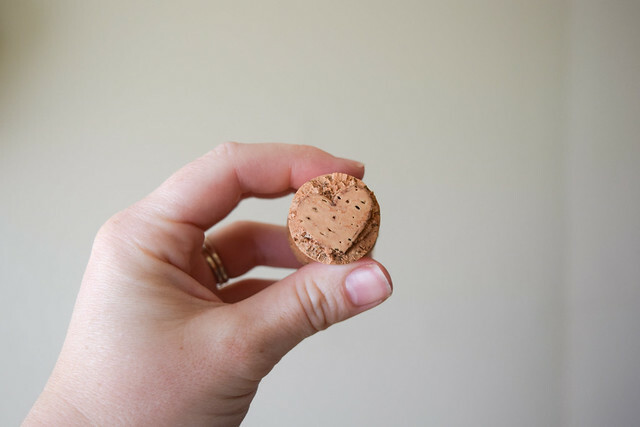 Here's the cork, pre-stampified. 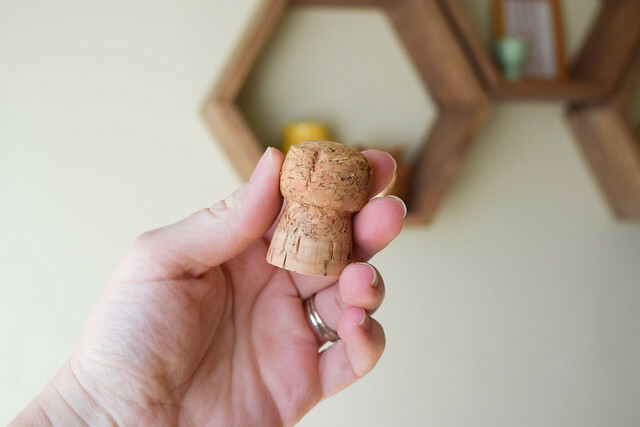 Lest ye think I was drinking champagne on a Tuesday at 10AM, the beverage was actually consumed a couple days before with the husband, and I decided to keep the cork for some random crafting with the preschooler. Supplies! 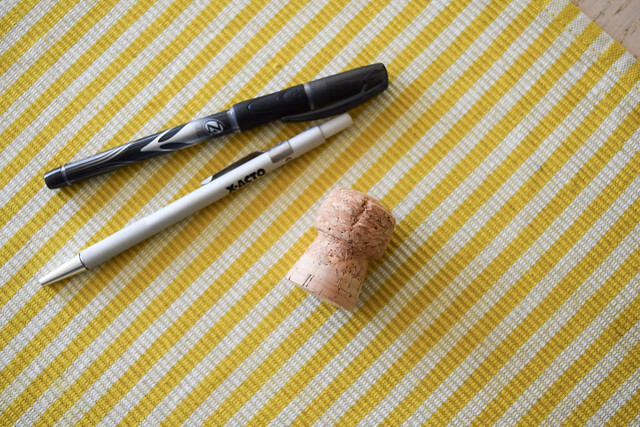 Any old pen will do, an x-acto knife (or similar tool) and the friendly little cork. To make this more fun for Eisley, I think next time I'll have her draw the image on the stamp for me to carve. Since I wasn't sure how difficult it would be, I went ahead and drew a basic heart for this first try. Eisley had a blast making her own artwork with the stamp. 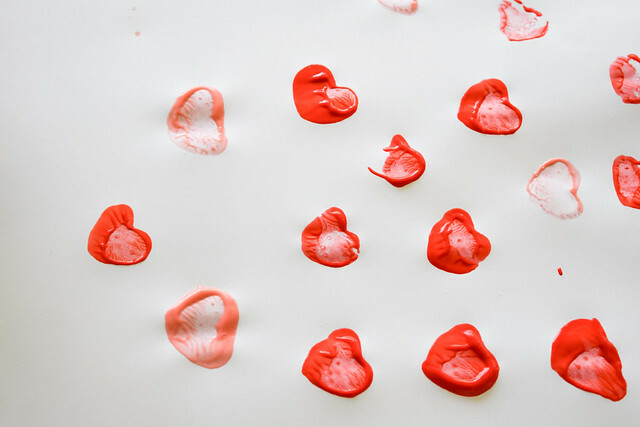 The only paint we had on hand for the project was a bit gloppy (that's what I've come to expect from the .99 store) but next time maybe we can try to use ink or something less runny. This worked for the project we had in mind, however, and I consider it a success. Hurrah for random craftiness! Almond champagne?! I will have to double check my Trader Joe's! It acts like an ink pad so it won't be goopy!